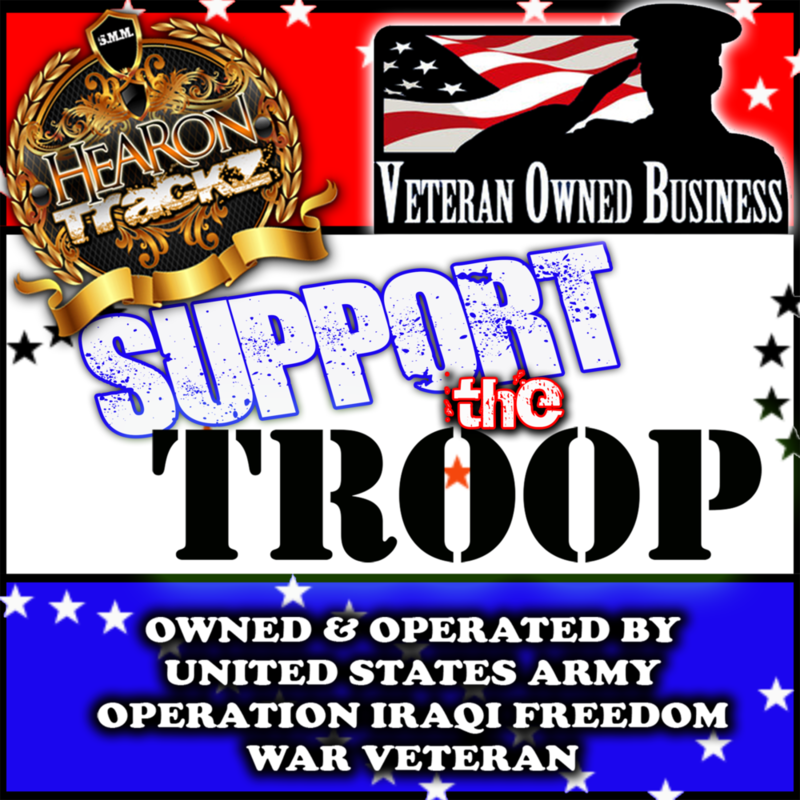 Donate to Support a 100% Fully Veteran Owned Business!!!!!! Same as $500 Donation + HearonTrackz Thank You Gift Pack and Logo added to each project released by HearonTrackz for 6 months and Co Executive Producer Credit And a vendor section at all events for a year. Same as $10,000 Donation Co Executive Producer Credit And a vendor section at all events for a year. Same as $50,000 Donation + Executive Producer Credit on Pack and Logo added to each project released by HearonTrackz for 1 Year and All Private release Parties Sponsored by Your Company Fully Coordinated by HearonTrackz Entertainment Company And an Sponsor Appreciation Plague.